A personalized leather Yeti wrap. If your husband or dad or Father-in Law loves their Yeti as much as my husband loves his, you can’t go wrong with this. Movement watches have so many color options and unique designs. I love them! This is more of an expensive gift, but you do get free shipping on orders over $50! 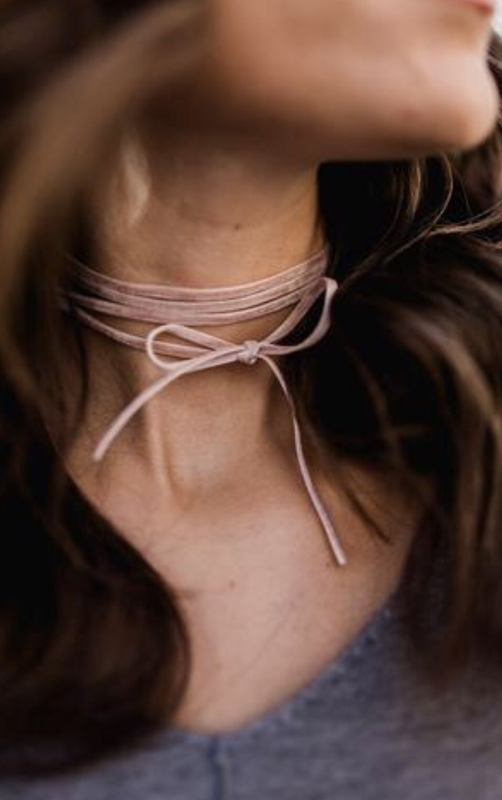 Chokers are HOTTTT. I am obsessed with this one from Ily couture. You will not go wrong with this one for any female you are buying for, (except for your grandmother, she may not want a choker 🙂 ). Pom Pom beanies are making a huge come-back. I’ve seen so many fashionable people wearing them. This one from Target would be a great gift idea, especially since the color is neutral! Booties! After wearing tall boots for 3 consecutive seasons, I’m so glad booties are such a big thing this year. You can find ones like these at Charming Charlie for a really affordable price. Hatchimals are THE BIGGEST craze this season. They are so big, they actually are almost impossible to purchase at the moment, but the company has promised to stock participating stores back up before Christmas. I would suggest checking daily, because I think they will go FAST. FurReal friends are interacting. There’s several different animals to choose from. They are suggested for younger ages. This one can be found at Toys R Us.